When you were watching Sci-fi movies, I am sure you must be wondering when we would be able to do such cool stuffs in the real world. Now the Sci-fi is gonna be here with the latest product to be launched from Google. Project Glass, Google’s highly secretive (Google X lab) project, released photos and a video in YouTube on Wednesday to preview the rumoured technology from a long time in the form of Goggles. After this people will have another good reason to wear specs and it even looks cool. I still remember the specs that Tom Cruise wears after climbing a steep cliff in opening of movie MI2 and the information he gets after wearing the specs. This kind of information storing and presentation seems possible with this current revealation, but not sure about the self destruction thing in 5 seconds..lol. The released video, titled “One Day …” depicts what a day in the life of a Google glasses-wearer would be like. Shown literally through the eyes of a hip downtown New Yorker, the video starts with the glasses booting up. A series of icons flash into his field of vision, Terminator-style. He checks his calendar and the weather, chats and shares photos with friends in his circles and listens to music.This video is going like a fire in the socialmedia, provoking people to share, add comments in the Google Plus, youtube links. But the launch date seems not in near future and lot of questions are unanswered with the operability and technicalities of the device. 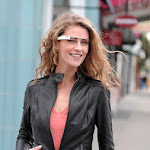 Here is what Google posted in Google Plus profile named Project Glass. And the first look video on youtube is here.